Brie…Brie was a challenge, one that I never completed to be honest, but the concept of this “cheese” is what first got me running down this rabbit hole in the first place. This is the one that taught me the most about the whole process, lessons I would apply to future cheese endeavors. Pub Cheddar, Meltable Mozzarella and others were there to tempt me a bit, but Brie? If Miyoko could come anywhere near to this placeholder of obsequious indulgence in a vegan form, then I had to try to make it. I made 2 passes at Brie, getting better each time and learning multitudes for the other cheeses in this hunt. 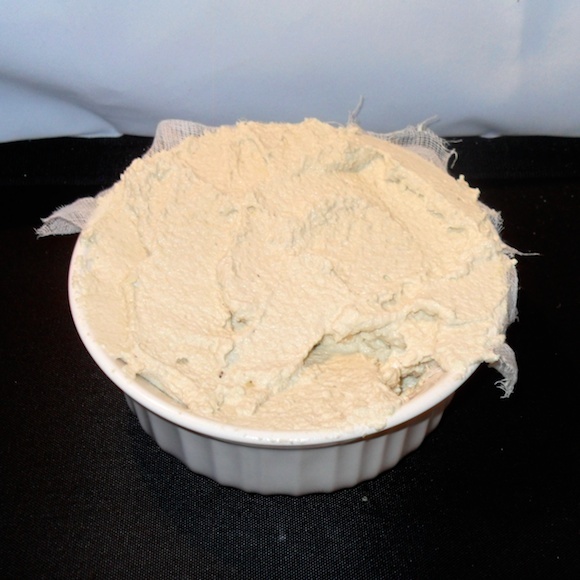 This was my first attempt at a vegan cheese and it shows in pictures. First try did not go so well. The second was very tasty, yet the texture was still off. There was no rind to speak of (I’m learning that only a few of these will ever develop one), only a large mass of scrapable tart Euro cheese-like product. Creating this cheese is a 2-part process. First we have to make a basic cashew cheese and second we must flavor the cashew cheese. Making basic cashew cheese couldn’t be easier: Soak cashews till soft then blend with rejuvelac and salt, wait. That’s it, nothing to it. The second part is where I made my of all my mistakes. In the first try the brie came out very bland and kind of grainy. I’m attributing this to the first time run with rejuvelac and the fact that I did not process the cashews enough. I also never used the peppercorns that Miyoko lists as being optional. (The thought of accidentally biting into a hard peppercorn is enough to make me wince). The second attempt tasted much much closer to the real thing but had the texture of Land-O-Lakes butter, not really soft and creamy but more solid and flaky. I know where I went wrong with this. The jar of refined coconut oil I had purchased contained 14 oz., which equals 1.75 cups, just 2 oz. shy for a proper second batch. Had I used the full cup of coconut oil, 8 oz, it would have come out a great deal closer to the real deal. I served this to a visiting vegetarian friend whom promptly ate almost the entire thing, so I’m counting this as a win. In a few weeks we’ll be trying out a similar cheese of Miyoko’s, Air-dried Camembert, that is done using our homemade yogurt from the second post in this series. First official vegan cheese: success! Process the ingredients. 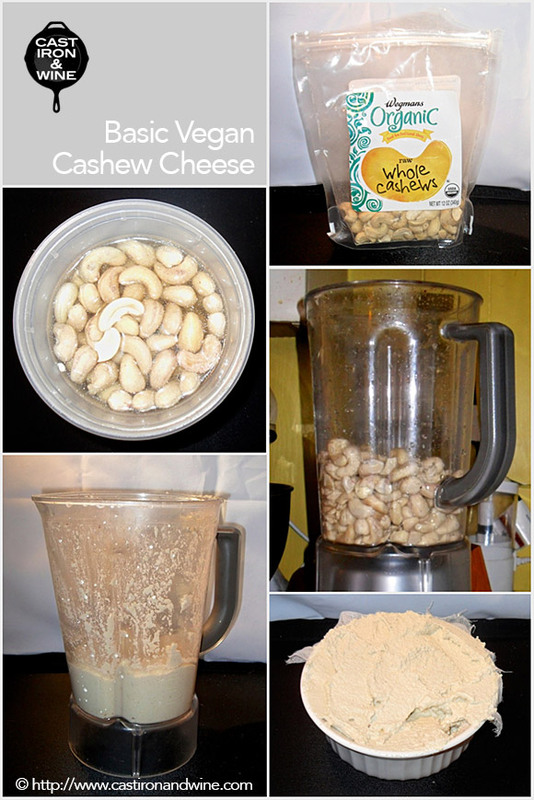 Put the cashews and salt in a blender. Turn on the blender and pour in just enough of the rejuvelac through the cap opening in the lid to process the cashews. (The longer the cashews have soaked, the less liquid will be required for processing. Also note that a high-powered blender can process the cashews with less added liquid.) Process until smooth and creamy, occasionally stopping to scrape down the blender jar and move the mixture toward the blades. Culture the cheese. Transfer to a clean glass bowl or container, cover, and let rest at room temperature for 8 to 36 hours, depending on how sharp a flavor you want and the ambient temperature (culturing will proceed more quickly at warmer temperatures). The cheese will thicken as it cultures. Form the cheese. If you will eventually be using the cheese as a base for another recipe, simply cover and store it in the refrigerator for up to 2 weeks. Otherwise, transfer to a glass or nonreactive metal mold and smooth the top. Cover and refrigerate for at least 6 hours, until firm. Flavor the cheese. Put the Basic Cashew Cheese, oil, nutritional yeast, and salt in a blender or food processor and process until smooth and well combined. The mixture will be fairly runny. Form the cheese. Line two 6-inch cake pans with cheesecloth or plastic wrap. If desired, sprinkle half of the peppercorns or fresh herbs evenly in each pan. Pour the mixture into the pans and spread it evenly. Cover and refrigerate for at least 8 hours, until firm. Let sit at room temperature for 1 hour before serving.